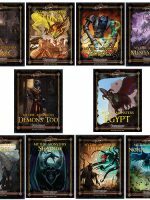 A 5E Friday Festival – plus MEGA-BUNDLES! Our 5E Friday returns with the fantastic and festive Royal Tournaments (5E), a fabulous resource for all manner of festival games and events from classic jousts and archery contests to athletic contests for running, riding, jumping, and more, plus exotic events like caber tossing, target shooting, tag-team wrestling, and aerial ring races! From the prosaic rural delights of a country fair to exotic events like the tower of jewels and pillars of life and death, Royal Tournaments provides a wealth of tournament events and awards, some physical, some magical, some social, and all delightful. 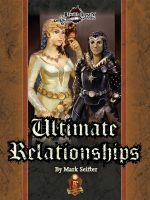 Whether your players want to promote the interests of their own kingdom or simply fight for glory and prizes, this 40-page book has everything you need to make the tournaments in your campaign magnificent and memorable. 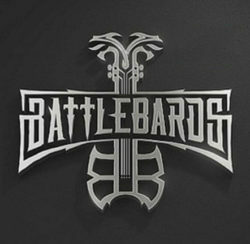 You can grab it today at the Legendary Games webstore, Open Gaming Store, Paizo, DrivethruRPG, and Amazon! Pathfinder RPG fans can also get Royal Tournaments for Pathfinder at the Legendary Games webstore, Open Gaming Store, Paizo, DrivethruRPG, and Amazon! And next week, 5E fans can get ready for Fey and Forest Options for their characters of every kind! Of course, we also kicked off BLACK FRIDAY a couple of weeks early with not one but TWO marvelous mega-bundles! For our 5th Edition fans, we are proud to present 20 FOR 20 II 5E Mega-Bundle, the sequel to last year’s amazing bundle, with 20 all-new 5E PDFs for just $20! Get over 600 pages of fantastic 5th Edition fun, from adventures to monsters, magic items, spells, feats, character options, new rules, and more, all over 80% off the original MSRP of over $120! Grab this bodacious bundle right now at the Legendary Games webstore, Open Gaming Store, Paizo, and DrivethruRPG! Sure, everyone does a BLACK FRIDAY sale, but why bother waiting until after Thanksgiving? Here at Legendary Games, we’re ready to give thanks RIGHT NOW! Today’s Friday, so our Black Friday Bundle Bonanza begins today! Far be it from us to play favorites, so we’ve got not one but TWO magnificent Mega-Bundles! 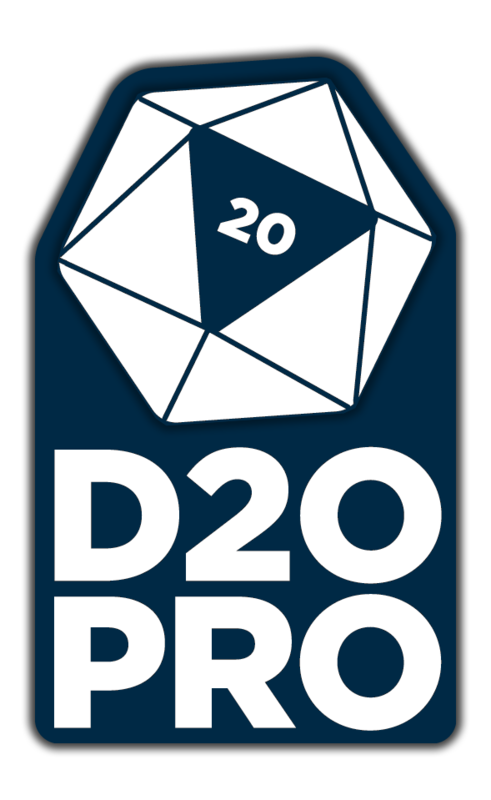 For our 5th Edition fans, we are proud to present 20 FOR 20 II 5E Mega-Bundle, the sequel to last year’s amazing bundle, with 20 all-new 5E PDFs for just $20! Get over 600 pages of fantastic 5th Edition fun, from adventures to monsters, magic items, spells, feats, character options, new rules, and more, all over 80% off the original MSRP of over $120! Grab this bodacious bundle right now at the Legendary Games webstore, Open Gaming Store, Paizo, and DrivethruRPG! Of course, our new releases continue this month, with 5E Friday coming back, along with brand new Pathfinder and Starfinder products coming your way too, but we wanted to unleash the savings now for you. Sci-Fi Friday means Scavenged Starfinder! The latest amazing installment in the star-spanning interplanetary adventure saga is here for the Starfinder RPG with Mike Shel and Mike Welham’s Legendary Planet: The Scavenged Codex! From a corrupt and crime-ridden crossroads planet to a distant backwater world of long-lost alien technology and crazed cults in search of the secrets of the ancients, your heroes will advance from 5th to 8th level in this incredible 112-page adventure, complete with brand-new magic and technology, new monsters, primitive vehicle rules for Starfinder, a planetary gazetteer of the postapocalyptic world of Rythes, and an ongoing sci-fi fiction saga by Chris A. Jackson! You can grab this adventure everywhere in wide release this Friday, or you can get The Scavenged Codex at the Legendary Games webstore, Open Gaming Store, Paizo, DrivethruRPG, and Amazon! Don’t forget to pick up the first adventure in this star-spanning Starfinder saga, To Worlds Unknown by Jim Groves, and the fantastic Legendary Planet Player’s Guide by Neil Spicer, Alex Augunas, and Will McCardell! 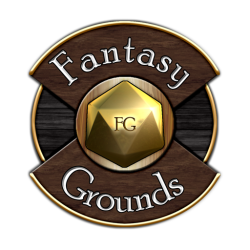 Next week, we’ll be shifting back to our 5E Friday series, unveiling an awesome assortment of festivals, tournaments, and celebrations from jousting and archery to contests of skill, courage, cunning, and magic in Royal Tournaments (5E), as well as collection of fabulous fey and forest-themed class options from ranger archetypes to druid circles, bard colleges to warlock patrons and pacts, plus new feats and spells perfect for any campaign ranging into the wild frontier in Fey and Forest Classes (5E). Of course, the latest installment in our Legendary Planet saga is almost ready for our backers as well, which means next month everyone will be able to get in on the fun with Legendary Planet: Mind Tyrants of the Merciless Moons (5E), the penultimate chapter in this mind-blowing space adventure story for characters of 17th-18th level as your heroes venture to the spirit-wracked moons of a vast gas giant where a grand general of the Hegemony is massing his forces for a counterstrike to break the back of the Alliance! 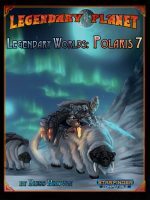 Coming next month we also have Legendary Brawlers for Pathfinder, even more amazing Legendary Worlds for Pathfinder, Starfinder, and 5th Edition, the fantastic Forest Kingdom Campaign Compendium for 5E, and so much more! 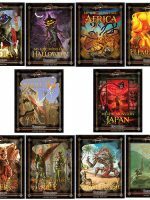 Also, don’t forget this week’s TWO$DAY product of the week is the marvelous Mythic Monsters 42: Halloween, with a dozen and one delightfully devilish monsters themed for the holiday, along with festively frightful feats and macabre magic items perfect for adding a touch of whimsical horror to your campaign! Grab this 5-star-seal-of-approval supplement today for just $2 at the Legendary Games webstore! It’s a Malevolent Medium Monster Monday! The latest from Legendary Games is a two-fisted torrent of terror from Thurston Hillman and Jesse Benner, with a ton of terrifying tormentors that are NOT titanic in stature but are terrifically potent nonetheless. We bring you the long-awaited Malevolent Medium Monsters! Too often in high-level Pathfinder RPG play, your opponents are either high-level NPCs or towering titans of imposing size and strength, but this book balances the scales with over 10 delightfully deadly new creatures of a very personable size that belies their double digit CR! Unleash the paralytic alabaster beetle, the malformed composite homunculus dragon, the blood-soaked ersatz, the sinister and heretical faithslain, the grotesque misbirthed, and an entire new category of fiendfused monstrous humanoids that drink deeply from the wells of fiendish corruption to achieve an awful apotheosis! Each new creature is designed with full-page portraits, dynamic abilities, and detailed ecology, tactics, and advice on using it in the campaign, and you can grab this 30-page bestiary today at the Legendary Games webstore, Open Gaming Store, Paizo, DrivethruRPG, and soon at Amazon! Next week brings us even more fantastic adventure with Ron Lundeen’s delightful centaur adventure, The Horseshoe Calamity, coming next Monday. What’s on tap in that adventure? How about a quick preview for you! Eldritch Elementals is HERE! And even more Fall Fantasy! 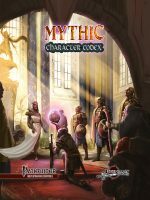 Our Fantasy Fall continues today with the release of Eldritch Elementalism, an exploration of the arts of elemental magic for spellcasters with new archetypes and feats, but also with a dozen dynamic templates for redesigning your elementals in some amazing ways, from shape-altering piscine and predator elementals to consuming elementals, draconic elementals, and even radioactive elementals! If you love working with elementals as a player or GM, you’ve gotta get this today at the Legendary Games webstore, Open Gaming Store, Paizo, DrivethruRPG, and soon on Amazon! We’ve got even more great winter-themed material coming later this month with Ron Lundeen’s amazing centaur adventure, The Horseshoe Calamity, but before that we’ve got a brand-new monster book long in the making from Thurston Hillman and Jesse Benner to make your medium-sized monsters much, much meaner! How about a preview of what you’ll find inside NEXT Monday? Too often in high-level Pathfinder RPG play, your opponents are either high-level NPCs or towering titans of imposing size and strength. There’s nothing wrong with a colossal killing machine, but when you want creatures for your campaign that pack a powerful punch in a size small enough to walk right in the back door, you need Malevolent Medium Monsters! These are not outsiders with a million spell-like abilities, nor complicated classed characters, but honest-to-goodness monsters from CR 11 to 18 ready to terrorize your unsuspecting heroes as they tear them apart! You’ll find the paralytic alabaster beetle, the malformed composite homunculus dragon, the blood-soaked ersatz, the sinister and heretical faithslain, the grotesque misbirthed, and an entire new category of fiendfused monstrous humanoids that drink deeply from the wells of fiendish corruption to achieve an awful apotheosis! Each new creature is designed with full-page portraits, dynamic abilities, and detailed ecology, tactics, and advice on using it in the campaign, whether your heroes are facing invading demon hordes, exploring a wounded wasteland where chaos reigns, or expunging the tainted lineage of an ancient evil! Of course, our Fall Fantasy kicked off last week with the fabulous 5-star-awesome Forest Kingdom Campaign Compendium for Pathfinder, and the 5E version is well along in layout and should be ready for our Kickstarter backers later this month. This fabulous 424-page encyclopedia of adventure is an incredible resource for any wilderness campaign, especially one featuring the fey, with tons of character options, spells, magic items, feats, monsters, and so much more, including rules for tournaments and festivals, sample characters and kingdoms on the borderlands of the wild, and a wealth of incredibly rich material dealing with faeries and the fey realms! You can grab the PDF right now at the Legendary Games webstore, Open Gaming Store, Paizo, and DrivethruRPG, and you can preorder the print version and print/PDF bundle exclusively at the Legendary Games webstore! There’s more great Kickstarter news, as our Legendary Planet project is heading into the final stretch with the release of Mind Tyrants of the Merciless Moons for Pathfinder to backers, with the 5E version already in layout, plus within the next week or so we should also have Legendary Planet: The Scavenged Codex for Starfinder as well! Last but not least, though, we wanted to thank each and every one of you who took the time to hop on board with us on the Puerto Rico Hurricane Relief mega-bundle we ran at DrivethruRPG! They were great partners for this and last month’s Hurricane Harvey bundles, and we thank them for their assistance in helping all of us to help the heroes on the front lines. Sci-fi Saturday for 5E with Elementals on the Way! The Alien Bestiary Kickstarter is in the books (though you can still email us if you want to hop on board!) and we’ve shifted our focus to a Fall of Fantasy, but there’s still plenty of sci-fi coming your way. The penultimate chapter of the Legendary Planet saga, Mind Tyrants of the Merciless Moons, is coming this month for Kickstarter backer and soon thereafter for everyone else, with more scintillating Starfinder supplements as well including Treasury of the Machine, Legendary Planet: The Scavenged Codex, and even more mind-blowing Legendary Worlds. Today brings you the latest in that series with Legendary Worlds: Carsis (5E), where the shards of a shattered world dance and churn around a verdant light, while fecund forests seething with swarms overgrowth cover the planet-shards and soaring insectoid predators prowl the grinding gulfs between them. You can grab this amazing planet of adventure packed into 22 pages, with the new playable carsian race, new monsters, and a mini-adventure for just $4.99 at the Legendary Games webstore, Open Gaming Store, Paizo, and DrivethruRPG! 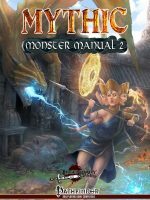 Next week brings us back to Fantasy-land with Monday’s release of the excellent Eldritch Elementalism, an exploration of the arts of elemental magic for spellcasters with new archetypes and feats, but also with a dozen dynamic templates for redesigning your elementals in some amazing ways, from shape-altering piscine and predator elementals to consuming elementals, draconic elementals, and even radioactive elementals! If you love working with elementals as a player or GM, you’ve gotta get this when it goes live on Monday! Of course, you shouldn’t forget this past Monday’s new release, the fantastic Forest Kingdom Campaign Compendium! This fabulous 424-page encyclopedia of adventure is an incredible resource for any wilderness campaign, especially one featuring the fey, with tons of character options, spells, magic items, feats, monsters, and so much more, including rules for tournaments and festivals, sample characters and kingdoms on the borderlands of the wild, and a wealth of incredibly rich material dealing with faeries and the fey realms! You can grab the PDF right now at the Legendary Games webstore, Open Gaming Store, Paizo, and DrivethruRPG, and you can preorder the print version and print/PDF bundle exclusively at the Legendary Games webstore! The 5th Edition version of the Forest Kingdom Campaign Compendium is nearly done in layout and will be going out to our Kickstarter backers first, and then out in general release later. The PDF will be released first, but the print version and print/PDF bundles will also be available for preorder right here at the Legendary Games webstore! Don’t miss our TWO$DAY product of the week, even kicking it off a day earlier with the amazing Ancient Tombs, recent recipient of Endzeitgeist’s 5-star seal of approval (read his review here)! You can get this amazing 36-page supplement of spells, curses, traps, lore, and so much more, exploring all things tomb-tastic and terrifying for 70% off right here at the Legendary Games webstore for just $2! Last but by no means least, we are delighted to continue our contributions to disaster recovery and relief. Our Heroes for Harvey bundle was a great success, as was the multi-publisher mega-bundle on DrivethruRPG, and we’ve helped organize another one to help those in Puerto Rico and the Caribbean to recover from an unbelievable succession of hurricanes from Harvey to Irma to Jose to Katia to Maria! Head on over to DrivethruRPG and grab the new Puerto Rico Hurricane Relief Bundle, getting almost $500 worth of incredible gaming products for all kinds of systems for just $25! Even if you had a heart of stone, that’s an incredible deal! We hope we can help get everyone in the mood to do even more, so whatever your favorite relief organization may be, whether international or local, we encourage you to do all you can to help the people of the Caribbean and the real-life heroes out there on the front lines! Set sail to help the Caribbean! Sci-fi September becomes a Fall of Fantasy, plus Puerto Rico! In the wake of our awesome Alien Bestiary Kickstarter (it’s not too late to email us with pledge if you want to hop on board!) and a ton of terrific sci-fi supplements in September, Legendary Games now turns to a Fall of Fantasy, and where better to begin than the public release of our previous Kickstarter project, the fantastic Forest Kingdom Campaign Compendium! This fabulous 424-page encyclopedia of adventure is an incredible resource for any wilderness campaign, especially one featuring the fey, with tons of character options, spells, magic items, feats, monsters, and so much more, including rules for tournaments and festivals, sample characters and kingdoms on the borderlands of the wild, and a wealth of incredibly rich material dealing with faeries and the fey realms! You can grab the PDF right now at the Legendary Games webstore, Open Gaming Store, Paizo, and DrivethruRPG, and you can preorder the print version and print/PDF bundle exclusively at the Legendary Games webstore! We have a ton of great new books coming in October, including Eldritch Elementalism, Malevolent Medium Monsters, The Horseshoe Calamity, and of course more sci-fi fun coming soon. However, we also are excited to revive our TWO$DAY product of the week, even kicking it off a day earlier with the amazing Ancient Tombs, recent recipient of Endzeitgeist’s 5-star seal of approval (read his review here)! You can get this amazing 36-page supplement of spells, curses, traps, lore, and so much more, exploring all things tomb-tastic and terrifying for 70% off right here at the Legendary Games webstore for just $2!